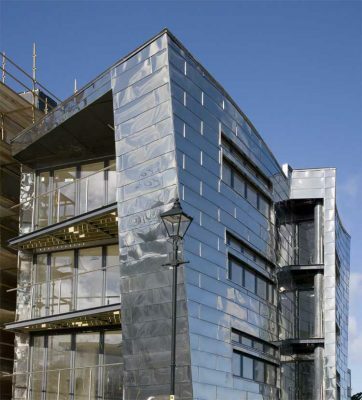 This Irish building is clad in a highly polished metal façade. The Civic Centre, Library and Centre Square are the main focal points of a strategic master plan for the regeneration of Athlone. 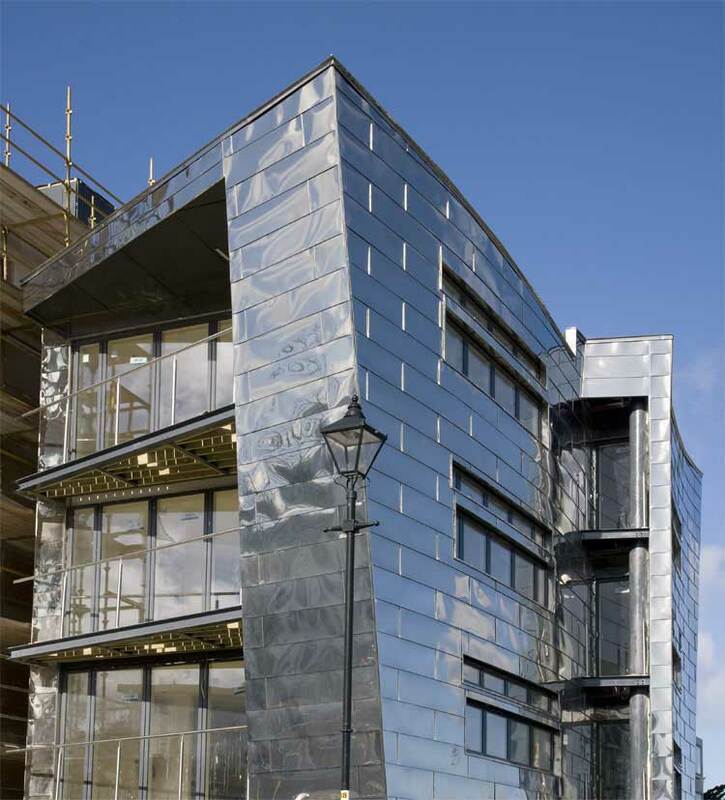 Accommodating Athlone Town Council, the development features Council Chambers, Executive Offices, Public Area, Regional Librar and a New Town Square – External Public Space. In 1971 this was one of the earliest places in Ireland to open a purpose-built shopping centre (the first being in Stillorgan). A much bigger shopping centre opened just south of the town on 3 March 2005. Known as Dundrum Town Centre it contains within the complex one of the largest cinemas in Ireland, opened in early October 2005. September 29, 2017 in Ireland.